The mission is to help healthcare organizations to clearly see patients, hospital internal process, employees, stack holders through data captured in day-to-day operational processes. 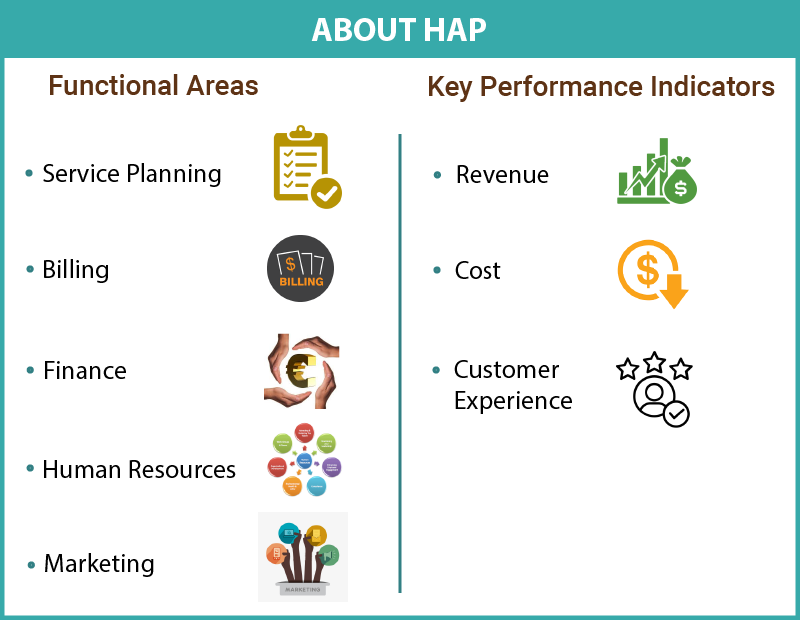 HAP product is engineered to achieve specific goals in key performance indicating areas, viz-revenue, cost, customer experience. Service Planning- Reports to aid better patient service. Ex: Average length of report, Bed occupancy report. Billing- Reports to aid efficient billing. Ex: Average treatments costs report, Payer mix report. 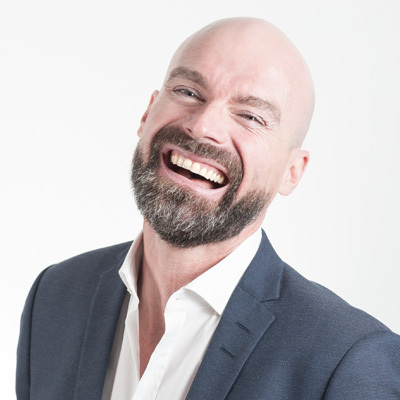 Finance- Reports to aid efficient financial planning. Ex: Capital expenditure report, EBITDA margin report. Human Resources- Reports to aid efficient human resource management. Ex:Over time cost analysis report, Incident rate report. Marketing- Reports to aid efficient marketing planning. Ex: Corporate tie-up's report, Revenue generated report. These reports enable decision makers to reduced cost, improve revenue and enhance customer experience. Generates an average length of stay for a particular type of patients. Provides treatment cost for a service. Monitors the incident rate of the employees. Gives the overview of revenue generated by the sales team. Global healthcare spending is projected to reach 8.7 trillion dollars by the year 2020 worldwide. Predict daily patient’s walk-ins to tailor staffing accordingly. Enhance patient engagement in their health. Reduced fraud and enhance data security. To use data for better informed strategic planning. Integrates with various data sources. It is a web-based system. Gives insights through real-time reports in various functional areas. Customized reports to the end user. Gives overview (Dashboard View) of the hospital/organization performance. Supports strategy planning and decision making. Provides insights to improve patient wellness and experience. Gives a transparent view of the billing process to the customer as well as management. Enables better financial planning and cash flow management. Tracks employee performance and engagement. 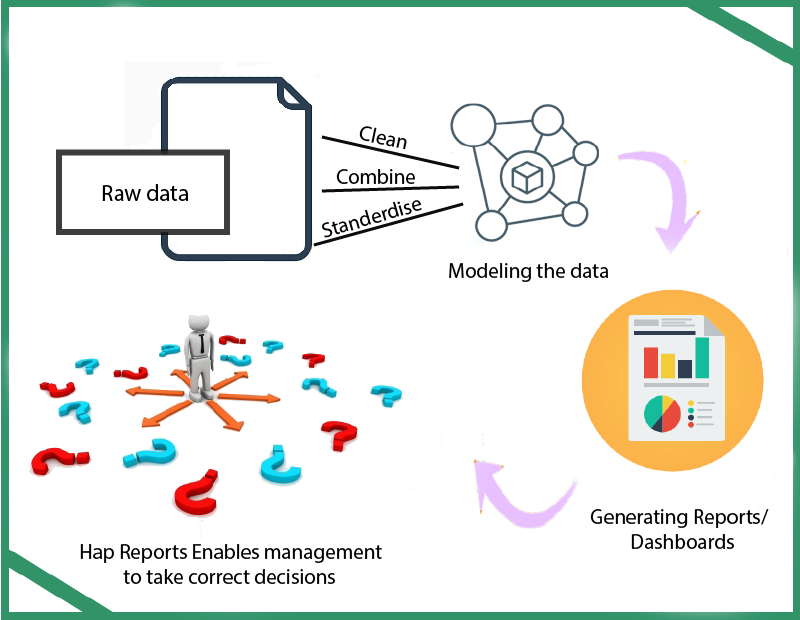 Combining on-floor data with advanced analytics unlock new approaches to monitoring and maintenance, adapting to dynamic conditions, predicting accidents and recommending preventive/prescriptive actions. Automated reports can be blended and arranged to correlate with the suitable processes of the hospital. There will be zero fraudulent cases and duplicate entries during billing. We will provide assistance to upload data in the right template for financial forecasting. We train staff on HAP software and installation procedure. Sales targets and revenue numbers entered by sales representative will be safe and secure. 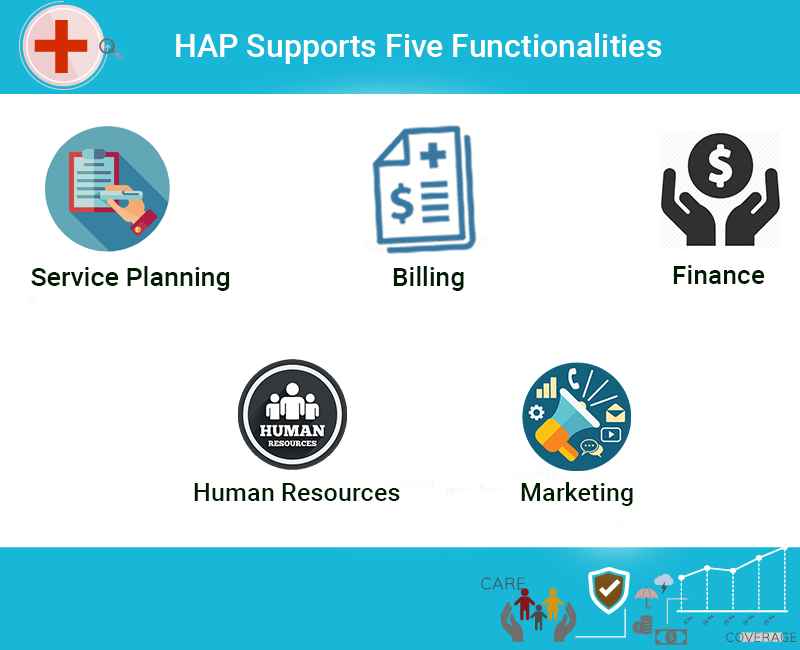 HAP is built specially for healthcare professionals and serves as the cornerstone of functional areas marketing intelligence. 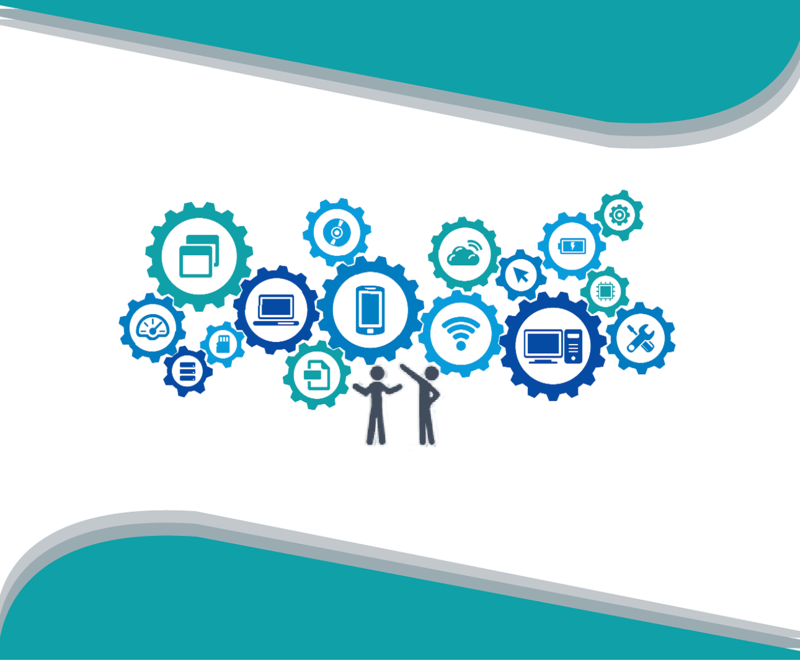 Data integration, data, and semantic layer combine the deepest marketing expertise it has easy extensibility to strike the perfect balance between automation and customization. Connecting and unifying all of the user platforms, tools and reports in one place become simple with smart assistive HAP technology. Data engineering - Mining, storage, and reports mechanisms. 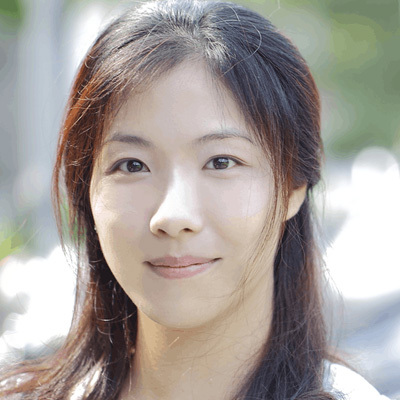 Analytics modeling - AI, forecasting and others. Validation and testing - Verification and on ground checks followed by iterations. 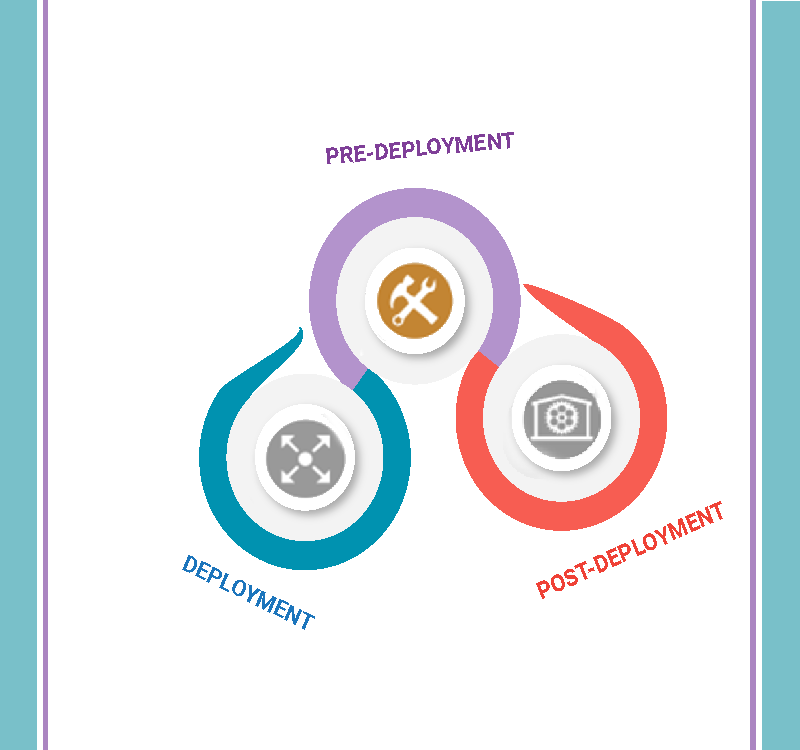 Deployment and business operations - Implementation, customization and support. There is a great satisfaction in knowing about our job and how well we served client's interests. It gives us great satisfaction when our clients take the time to acknowledge their satisfaction by providing feedback. HAP has been a great platform for a hospital, helped us raise business with analytics. HAP folks know what they are doing — from technical deployment to extracting actionable insights—to training. HAP Reports keeps hospitals up to date on their Key performance indicators such as patient visits, service experiences, conversions rates, and revenue. Found HAP online last week and installed it. We have tested it in various departments and we are really excited about the reports that the HAP generates!. Sathyamedha business solutions couldn't have innovated HAP, without the support of our partners. Learn more about our partnerships and how you can join us in the mission to deliver useful insights for the healthcare industry. Our clients are at the core of success. We are proud of the work we do. 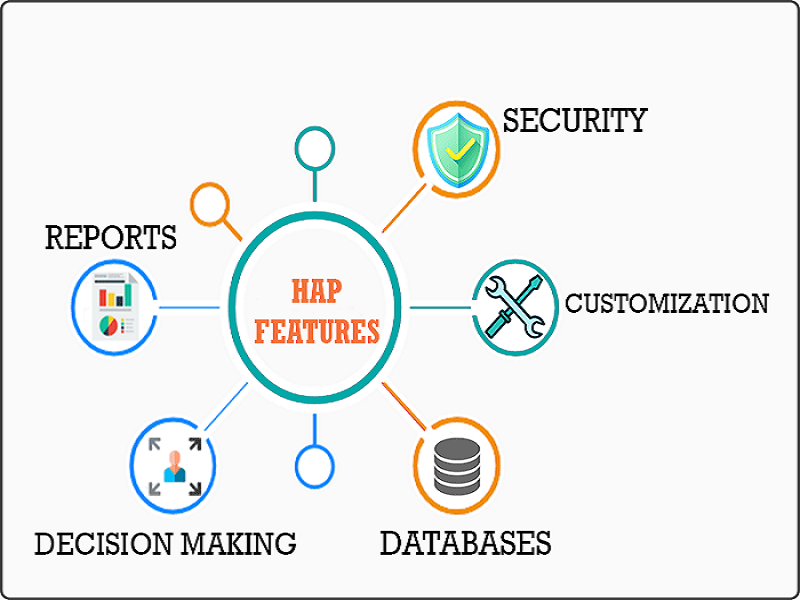 Below are some of the clients who are using HAP software.